Chuhak & Tecson Principal Andrew May is a seasoned securities and commodities attorney who provides sound guidance and impactful advocacy for individuals and entities navigating complex compliance issues, regulatory and exchange enforcement actions, and customer disputes. With insights which can only be gained through years of experience, focus and commitment, Andrew is a determined advocate on behalf of a wide range of futures and securities industry participants. He zealously and strategically safeguards the interests of securities industry players, including proprietary trading firms, introducing brokers (IBs), registered investment advisers (RIAs), hedge funds, clearing and retail broker-dealers (BDs), registered representatives and hedge fund managers. He also deftly handles the vast array of complex legal issues faced daily by futures commission merchants (FCMs), introducing brokers, commodity pool operators (CPOs), commodity trading advisors (CTAs) and proprietary traders. Andrew provides his clients with a powerful combination of industry-specific acumen and personal investment in their success. Andrew is the former general counsel to a U.S. Securities and Exchange Commission (SEC) registered investment adviser and broker-dealer that operated in the institutional and retail space. He takes pride in being a true counselor to his clients, focusing on understanding their unique operations, concerns and challenges as much as he does the web of laws and regulations which govern their operations. Leveling the playing field against the vast powers of regulators and self-regulatory organizations, Andrew acts as champion for those whose careers, livelihoods and professional reputations hang in the balance. He has amassed an impressive record of success protecting the Central Registration Depository (CRD) records of registered persons from false, defamatory or retaliatory information reported on Forms U-4 and U-5, including obtaining the expungement of such information in arbitration and court proceedings. He is equally effective at ensuring the accuracy and completeness of information and disclosures in futures-related forms 7-R and 8-R.
Recognizing how costly and disruptive disputes can be for securities and commodities firms and brokers, Andrew endeavors to help his clients avoid arbitration or litigation to the extent possible. When conflict is unavoidable, he provides strategic and effective advocacy on behalf of retail broker-dealers, registered investment advisers, options and securities firms and individual brokers, hedge funds, registered representatives (RRs) and investment advisor representatives (IARs) in arbitration, litigation and mediation. Andrew has experience successfully representing clients in disputes involving customer allegations of churning, breach of contract, breach of fiduciary duties, negligence, suitability and unauthorized trading as well as blue sky law violations. His practice also includes intra-industry disputes adjudicated by exchanges and self-regulatory organizations. 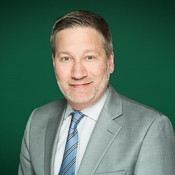 Andrew has extensive experience in reparations and arbitrations involving the Commodity Futures Trading Commission (CFTC), Financial Industry Regulatory Authority (FINRA), National Futures Association (NFA), New York Stock Exchange (NYSE) and various exchanges such as the Chicago Board of Trade (CBOT) and the Chicago Mercantile Exchange (CME). He also has far-reaching experience dealing with investigations and disciplinary cases before the Chicago Board Option Exchange (CBOE), Chicago Stock Exchange (CSX), Financial Industry Regulatory Authority, New York Stock Exchange, SEC, Chicago Board Option Exchange, Commodity Futures Trading Commission, Chicago Mercantile Exchange and the National Futures Association. Additionally, Andrew’s unmatched knowledge of all aspects of securities and commodity markets, and their laws and regulations allows him to provide insightful and effective counsel in an outside general counsel role to broker-dealers, investment advisers and futures introducing broker clients. He represents financial services clients with business formation, compliance, disclosure, registration and transactional matters. A graduate of the University of Illinois at Urbana-Champaign who earned his law degree from DePaul University College of Law, Andrew is currently pursuing his Master of Law degree (LL.M) in advanced legal studies of financial institutions and markets at Chicago-Kent College of Law. When not serving his clients, the devoted father of two delights in raising his son and daughter and enjoys viewing their baseball, figure skating and hockey practices and events. When is a promissory note more than meets the eye? Does your transaction have a securities issue hiding in "plain sight?"